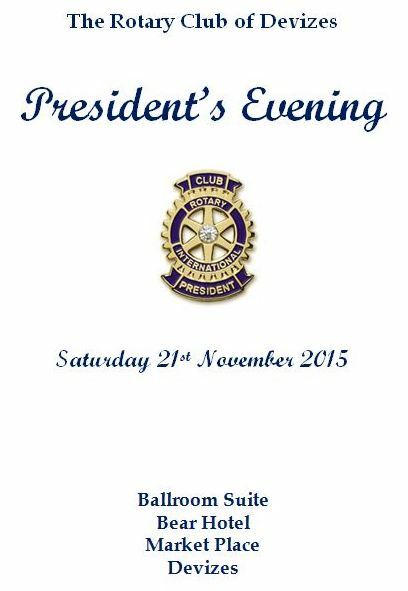 Below is a copy of the menu and a few ‘photos taken at the Presidents Evening last weekend. 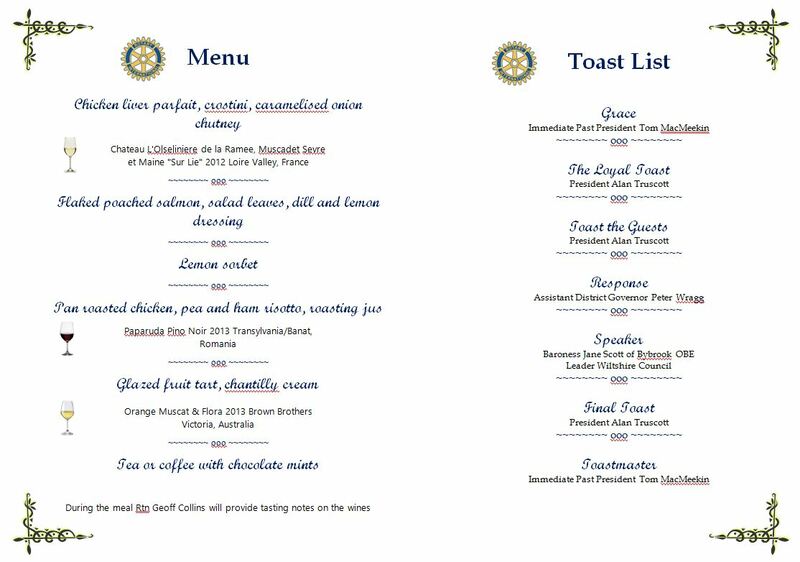 Posted on November 25, 2015, in Club Meetings and tagged Devizes Rotary, Rotary Club of Devizes. Bookmark the permalink. Leave a comment.